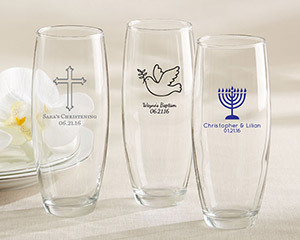 Add a touch of elegance to your upcoming religious celebration with Kate Aspen's personalized 9 oz. stemless champagne glasses. 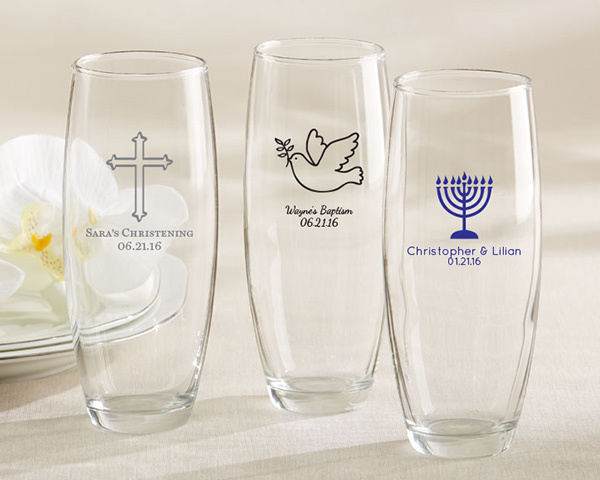 Customize these party favors with your choice of religious designs, colors and fonts for a one-of-a-kind memento of one of life's most precious days. Glass measures 5.5" h x 2" in diameter; holds 9 oz.